We went shopping and couldn’t resist trying out some new (and old) brands! 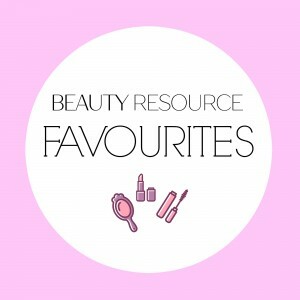 With the many, many beauty brands out there, you can spend hours walking up and down the aisles of boots and superdrug picking out anything and everything. But we went in with a mission – we wanted coral lips, a bronze eye and a full lash. Our favourite. The most expensive of our purchases and we have to admit, not a new product for us. This is our favourite BB cream. This product feels very lightweight on the skin (which is great for us not-keen-on-foundation girls) yet the coverage is great. L’Oreal have created a product that contains little beads in the formula which when applied, work to match your complexion. For us, this is the perfect spring-to-summer base. While contouring can be a little scary, we love a good bronzer. This one from Freedom isn’t too dark or shimmery, so it adds the perfect amount of summer glow to the face. The product contains three shades which work together to provide an overall warmth to the skin, or can be used separately as a matte bronzer, a highlighter and a shimmer blush. Among our eye palette collection, the natural, highlight shade is always the first to hit pan. We wanted a shade that we could use as an everyday base then throw in our handbag without worry. At such a good price, MUA have a selection of colours to choose from which suit any occasion. We opted for Fudge – with a smooth application, it acts as the perfect base for under another colour or alone for a “no make-up” look. Now we love a bronze eye and this shadow was so beautiful we couldn’t resist. At £1.50, it applies as if it were a more high-end product. There are six shades in the collection, each one is baked and blended with flecks of gold for the perfect shimmer. For a more intense colour, dip the shadow in a damp brush. We went in looking for a coral lip and couldn’t resist snapping up this colour. This product is intense in colour and the formula is that of a molten lipstick. It’s glossy, smooth and comfortable to wear. For a gloss, it is surprisingly long lasting and contains vitamin E, leaving the lips feeling moisturised – perfect for any summer BBQ! Set yourself up for summer! Book yourself an eyebrow tint and eyelash extensions for minimal effort, but maximum effect.